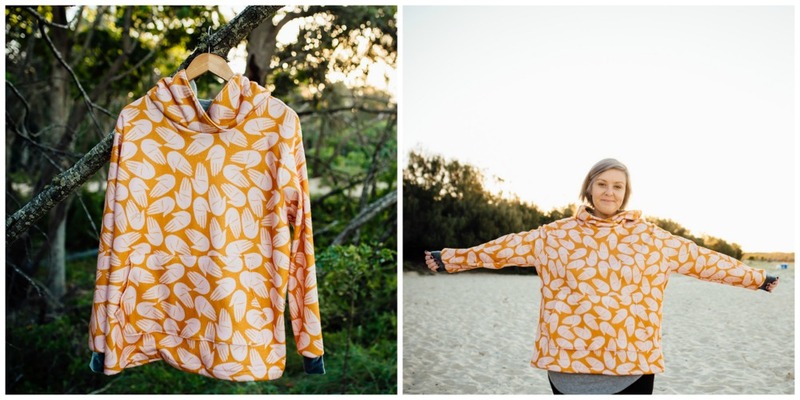 Perfect for chilly winter days or cool summer nights, this pullover stitched up by Katie of Katie Makes a Dress using a colourful print on Fleece designed by amyjpeg is great year round. Stitch up one, or five, for a new playful staple in your wardrobe! Give your space a quick refresh with new cushions by drawing inspiration from Abby of Things for Boys’ recent patio project. 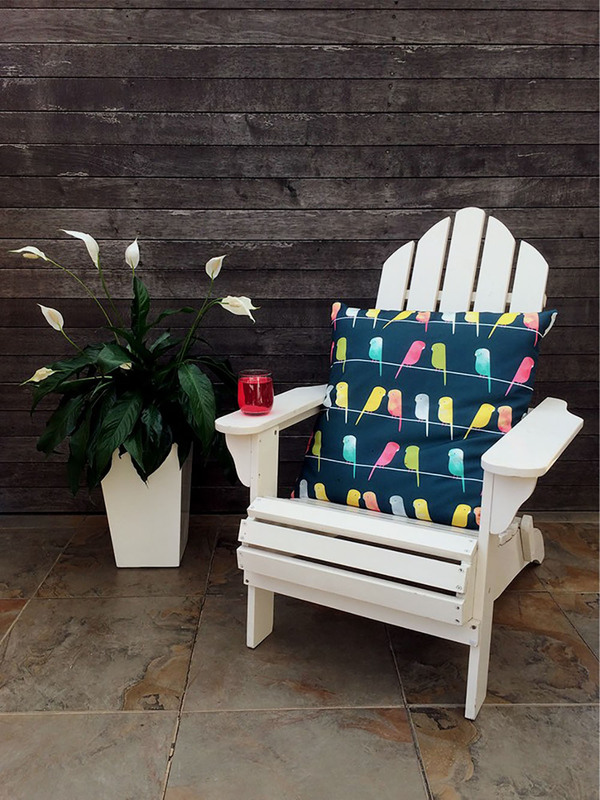 Our Eco Canvas is perfect for pillows and the vibrant print quality is great for designs with pops of colour like this bird-inspired print by mountvicandme. And speaking of birds, we’re in love with this bold print Carolyn of Handmade by Carolyn chose for her me-made! 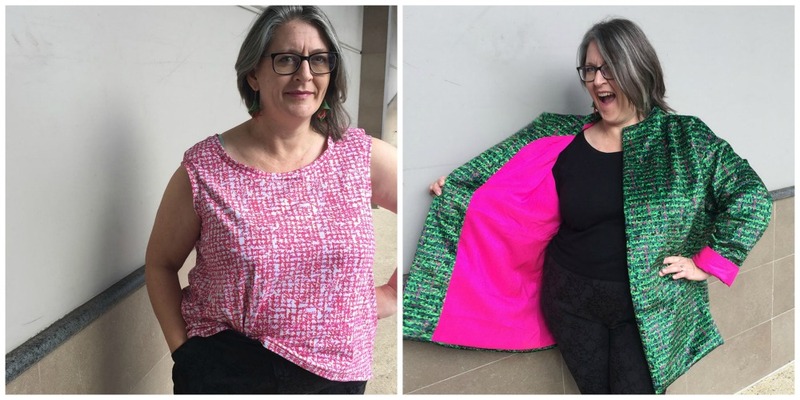 Using a cheeky cockatoo print by su_g, Carolyn whipped up a two-piece outfit great for beginner sewists looking for a bit of a challenge or season makers pining for a quick make. 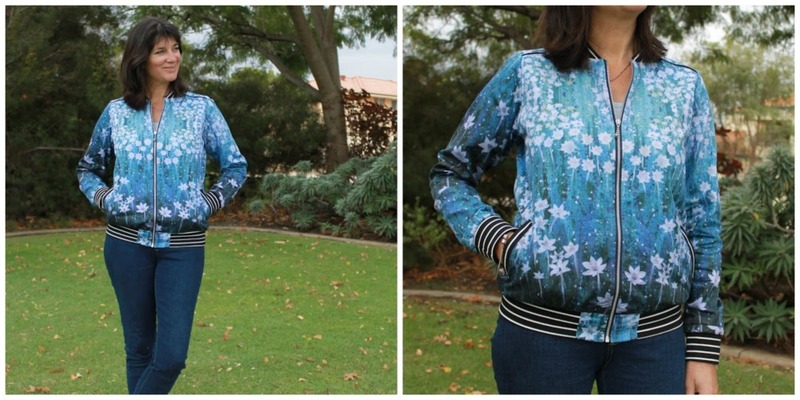 Megan, author or Meggipeg, shares an incredible bomber jacket featuring a design she created using one of her mom’s paintings printed on our Organic Cotton Sateen. Pop over to her blog to see the original work of art and more of her finished jacket! Looking for a project that is elegant yet playful? 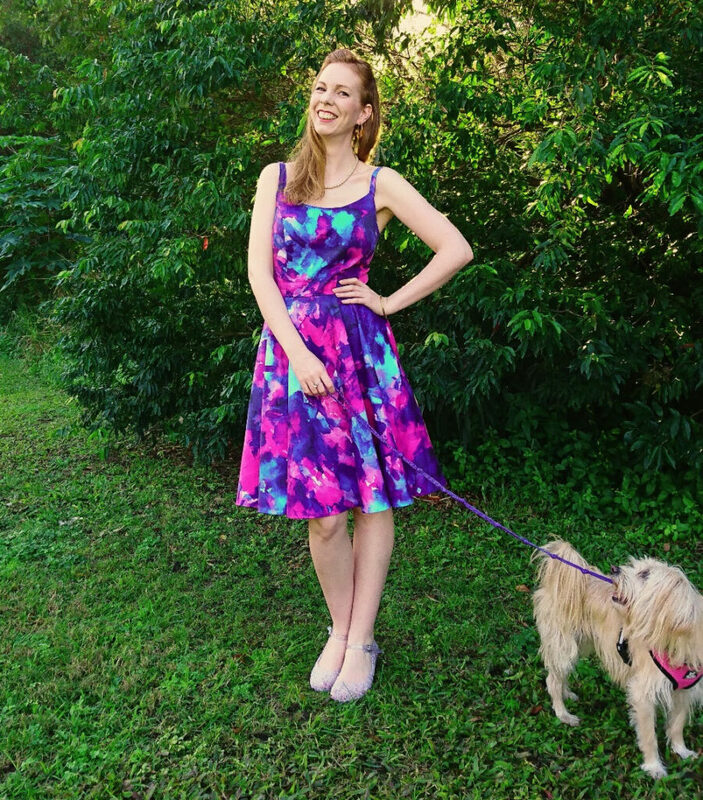 Look no further than Natalie’s, author of Jane Doe Deer, perfect me-made dress. The colours of mjmstudio’s watercolour design printed on Organic Cotton Sateen are just lovely and the silhouette Natalie created by combining two patterns is stunning! Turn artwork or drawings into custom fabric for a memorable gift or keepsake! 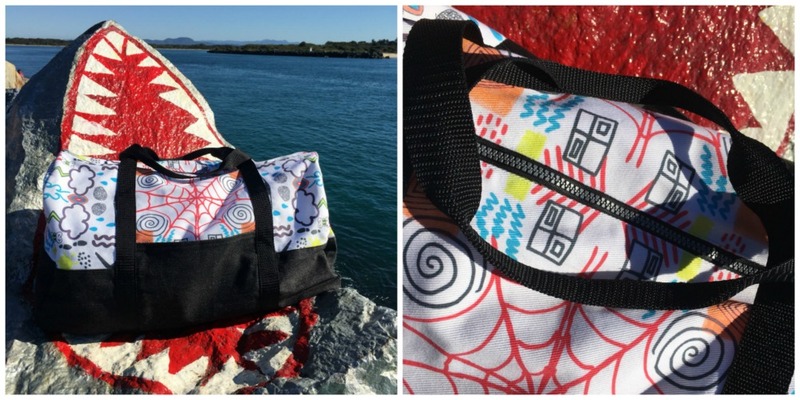 Liz, creative maker of Sew Busy Lizzy, used some of her youngest daughter’s doodles to sew up a Portside Duffle using Dogwood Denim™. 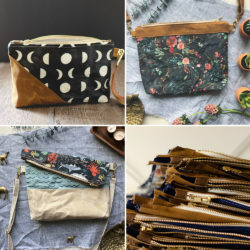 Check out her thoughts on creating her own fabric and pattern notes over on her blog. If you’re interested in a more simple way to DIY, the Portside Duffle (and Dopp Kit!) 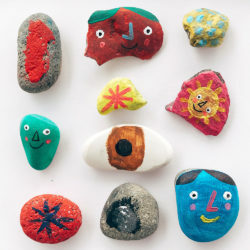 are available through Sprout Patterns. Ruffles? Check. Bold and colourful pattern? Check. Adorable coordinating headband? Check! 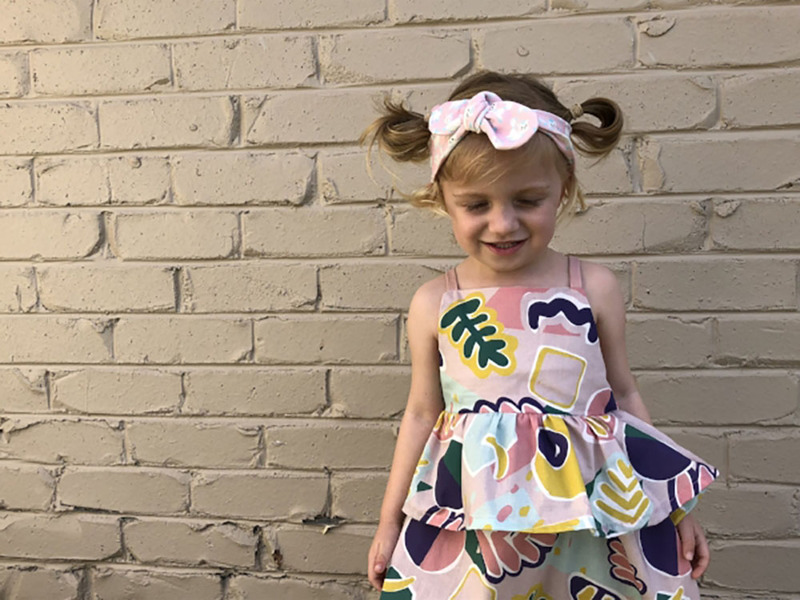 This outfit sewn up by Ellie Whittaker, featuring a headband by Holly of Topknot Girl, has everything you need for a fun and playful look. Ellie used her own design and printed it as a cut and sew project on Basic Cotton Ultra to make this DIY a little bit easier. No time to create your own cut and sew? 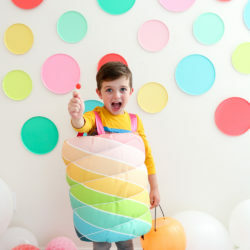 Let our friends at Sprout Patterns help you with this step! Sandra of Sewanista created her own designs based off of her handwriting to create these two eye-catching garments. The tank, made out of Cotton Spandex Jersey, is the perfect layering garment. Wear it alone for warm summer days or use it as your base layer under a cosy cardigan and scarf for chilly winter nights. And how about that colourful jacket? The lining is created by repurposing her wedding dress! We love how the richness of the emerald green printed on our Celosia Velvet™ pops next to the bright pink lining. Whether you’re creating your next design, searching through the Marketplace of indie designs or getting a head start with some help from Sprout, we’d love to see what you’re making! 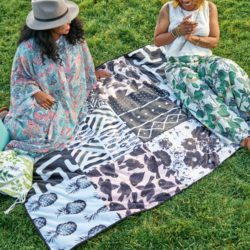 Share your projects using #spoonflower and have a look at what the rest of our crafty community is working on. Thanks so much for joining us, Carolyn!. Your two-piece outfit turned out so good!